Everything for the demolition man, woman or child in your life. Desperate for a gift for the demolition man, woman or child in your life? Well fear not; DemolitionNews has got you covered. We have just overhauled our merch’ store to bring you a range of industry-related gifts to suit all sizes, ages and budgets. 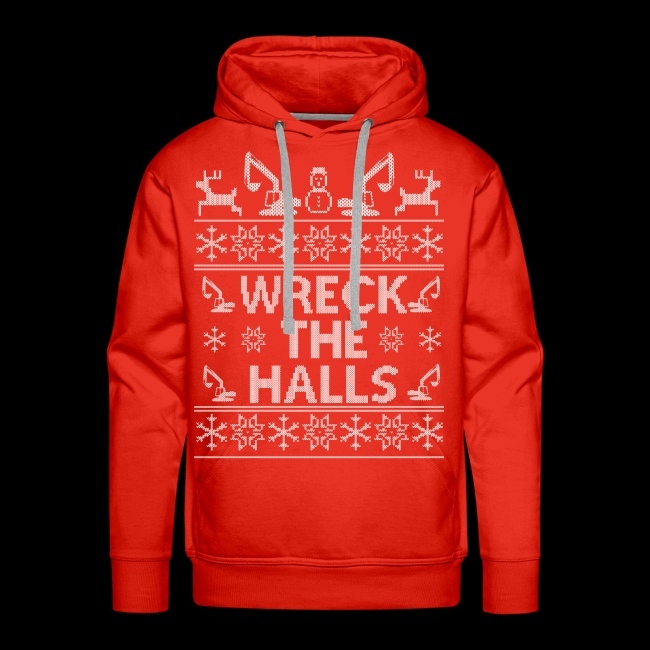 Our “Wreck the Halls” range of t-shirts, sweatshirts and hoodies are already going out the door faster than stolen scrap metal; while our Demolition-branded beanie hats are selling like hot cakes to ensure hot heads as the winter weather worsens. In addition to this, we have mugs featuring the distinctive Demolition logo; together with an enamel mug featuring our Instagram handle in full Instagram colours. There’s also a collection of travel mugs to keep your drinks warm this winter. and Our BOOM! T-shirts will ensure that any Christmas party goes with a bang; while our Work Safe, Home Safe t-shirts and hoodies reinforce an important safety message. For children and future demolition folks, we have a range of My Dad Does Demolition t-shirts and there’s a full range of child and baby wear in our dedicated Kids & Babies section. So give Santa a helping hand and order your exclusive demolition gifts now. Posted: November 13th, 2018 under General.